If you’re selling a course online you’re probably intimately familiar with the process and importance of content marketing. You likely work hard to create high quality content that potential students will use to gauge your level of professionalism and ultimately decide if they will enroll in your online course or not. Creating that free content requires a lot of work, but ranking for it can be even harder. In a previous tutorial we talked about ways to look for “low hanging fruit” in the world of content marketing by looking at global average volume, paid competition, organic competition and searcher intent. You can read that article on chasing the long tail of search here. In this follow-up blog post, we want to take that research a step further and teach you how to improve search engine ranking after your initial content launch. Many people don’t know what to do with their content after they’ve created it and they’ve done their initial “push”. That initial push might be enough to start to rank but it’s not likely going to get you in the top spot is it? Unfortunately, many content marketers forget about their posts after that initial push. They just move onto the next piece of content without looking back. To highlight the importance of not turning your back on your old blog content let’s look at a real world example. Let’s use a case study from our own site to show how this process looks. 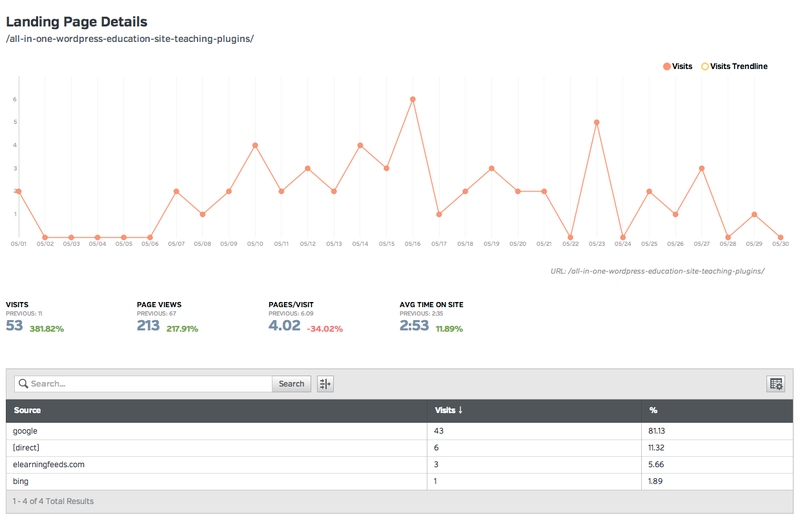 The key-phrase we’ve researched and decided to optimize for was the term “WordPress teaching plugin“. It’s a very small “long tail” term but it’s highly targeted for us and therefore worth going after. As an Academy of Mine member you get access to a lot of great tools. One of them is an amazing research tool that helps you find search terms which we call “low hanging fruit” (decent volume and low competition). Below you can see our research for this term. It shows very small global volume, but virtually no competition. Therefore we put this term on our list to create content around. A few things to note. When we’re creating our content marketing schedule we need to stay organized. We do this by creating “tags” that allow us to see quickly which terms have had content created for them and which ones are still pending. As you can see this term is tagged as “done” which means the content is created. In this case we can see that it’s also already ranking. Now you’ll see our ranking for this term over the last month in graph form. From the time we created it until now. You’ll also see important metrics like “CTR”. 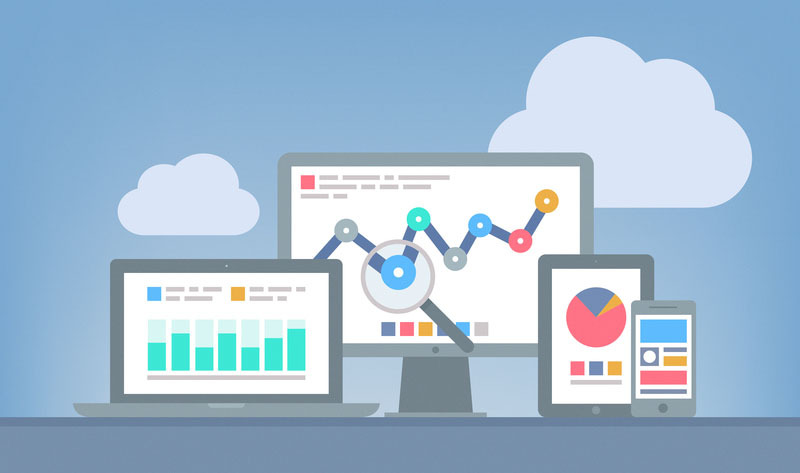 Essentially, these are engagement metrics which are important quality indicators that search engines use to determine your page placement. Think of this process as having your individual blog post “auditioned” for that particular search term you’re trying to optimize for. Low Click Through Rates (CTR’s) and high bounce rates are “flags” to search engines that the searcher didn’t find what they were looking for. This of course, can be remedied by satisfying search engines and searchers need for quality content. What we recommend you do is put aside at least one page audit day each month. If you’re actively trying to rank one of your pages for a particular search term you need to remember that showing up on the first page is essential. Showing up as the 457th result is only just slightly better than not ranking at all. 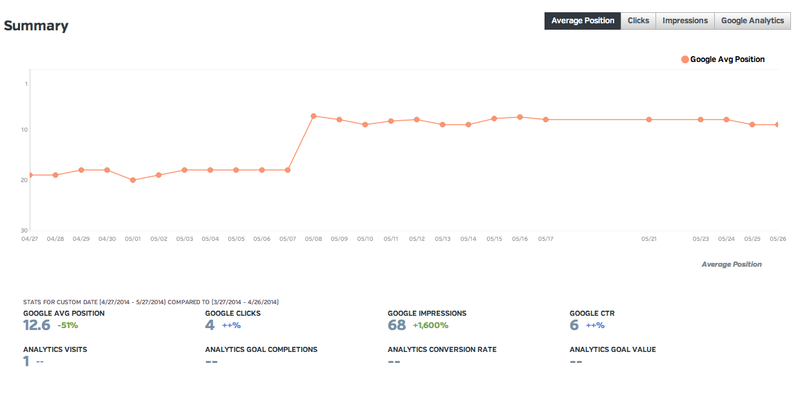 Of course, if your goal is content optimization then you’ll see your 457th rank as your starting point. Not your ending point. From this starting position you can then start your climb to the top. Remember, that a first spot position in Google gets roughly 33% of clicks, 2nd spot gets 18%, 3rd spot gets 11% while the 10th position gets only 2%. If you’re chasing that “global volume” number then you have huge incentive to rank in the top 3 spots. Even if you have a term with the global volume of 1000, you might only be seeing 333 clicks from that term if you rank #1. Of course, the math gets more complicated then that, but you get the point. After you find your initial position you’ll need to take steps to rank higher. So in our case, we started out not ranking, came into the index at around 30, jumped to 20 pretty quickly and now we’re hovering around 10. During an audit what we need to do is look at that page and figure out how far away it is from ranking for the term. Your strategy moving forward at this point will depend on many things. Namely, how far away you are from achieving a first spot ranking and how competitive that search term is. We used the search term above because it’s a “quick win”. it’s our low hanging fruit so to speak. Again, it doesn’t bring in much traffic, but every little bit helps and it’s useful for demonstration purposes for this tutorial. One of the best things you can do for the content on your eCourse site is increase the quality of the content to increase engagement metrics. There are many ways you can do this but let me explain a couple. You might want to start by trying to increase the CTR of your term in organic search. Again, let’s look at the chart we were looking at above to find the CTR. Notice this page in question has a CTR of 5.9%. Not bad, but there is room for improvement. We can make this metric more impressive by analyzing and changing our meta data (title and description) as it shows up in search to make the page more appealing to click on. Another thing you can do to increase engagement on a page is to focus on lowing the bounce rate (ours was 9% in this case) and increasing the time spent on the page. Both are huge quality and engagement indicators. To do this, find those metrics for the page in question. Below you’ll see our page url and the average time on site. Both are okay, but we could do a little bit better on both. Now let’s talk about social indicators. Google has stated that they take social into consideration as a ranking indicator. Depending on who you’re listening to, the importance varies, but many people believe social signals account for roughly 10% of your ranking “juice”. When I look at this particular page I can see that we have no social love on it whatsoever. So the first thing we should do is publish it on our various social accounts and ask for others to do the same through sharing and re-tweeting. If you’re just getting started it might be worth using Facebook Ads or Twitter Ads, not to make sales, but to help you get some social recognition which will help you in your rankings. The last macro indicator we’re going to look at right now is the number of links pointing to this page. In our case, because we’re so close be getting the number one spot, and we’re not fighting for a competitive search term, this won’t require much work from us. In fact, it might even be enough just to pass some “juice” from one of our other authoritative internal pages. So we’re going to test that out. So we’re going to get to work on implementing these three changes and we’ll update this blog post as soon as we see a change in ranking.